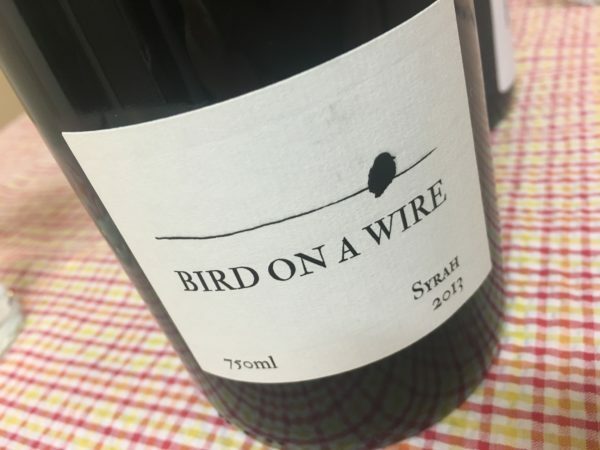 I was quite taken with Caroline Mooney’s Bird on a Wire Chardonnay the other week, and the Syrah is equally clever. What I really like is the detail. That sense of ripeness yet without heaviness. Smart. Deep red maroon with lighter edges, this has a suggestion of slightly stewed red plum fruit but it doesn’t carry through onto the sophisticated palate. There is red meat, pan juices and cranberry, before a lithe and even crunchy back end that has the barest hints of warmth and then a bony finish. No questions here about the cool clime context, even despite the warm year whispers of cooked fruit. Classy, and exactly what you’d want a Yarra Syrah/Shiraz to be. 18/20, 93/100. 14.1%, $40. Would I buy it? I’d go a few glasses.